We kick off the second day with shortlist for the 2016 Coffee Spot Award for “Coffee Spot with the Best Lighting”. 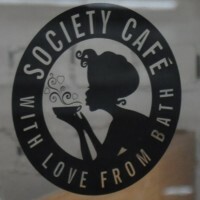 This was won last year (the Award’s first year), by Society Café, The Corridor. Lighting in coffee shops has long held a fascination for me, with most of the galleries containing a shot or two of an interesting light-fitting. This Award celebrates those Coffee Spots with particularly outstanding lighting. Tilt opened its doors on Birmingham’s City Arcade in November last year, making it, as far as I know, just the UK’s second speciality coffee and pinball joint. Mind you, Tilt’s not just coffee-and-pinball. It’s coffee-craft-beer-and-pinball. And wine. And spirits. And loose-leaf tea. Plus there’s a cracking basement which got Tilt on the shortlist for the Best Basement Award. However, we haven’t yet mentioned the awesome lighting. Oh, and that Tilt’s also on the Best Espresso Award shortlist. 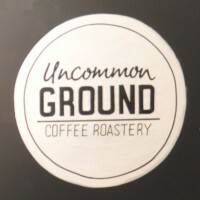 There are many things to admire about Cardiff’s Uncommon Ground Coffee Roastery, not least its location in the fabulous Royal Arcade, with its lovely outdoor seating (which has got it on the shortlist for the Best Outdoor Seating Award). There’s also its basement-like atmosphere, which in turn requires plenty of light. And what light it is, especially the old copper kettles. Fix 126 flies a little under the radar in the heart f Shoreditch, where its surrounded by some really excellent coffee shops. 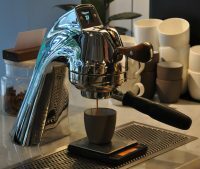 Not that this phases Fix, which more than holds its own, serving a range of coffee (espresso & pour-over). However, what’s got it in the running for a Coffee Spot Award is its outstanding lighting, including some very lovely bare bulbs. London’s Grind chain started with Shoreditch Grind on Old Street Roundabout. Despite having windows on three of the four sides, Shoreditch Grind also has some excellent lighting (in common with all the Grinds). 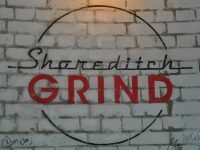 Shoreditch Grind is also on the shortlist for Best Espresso Award. 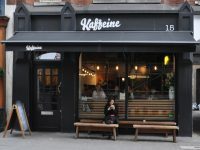 The long-awaited second branch of London’s legendary Kaffeine, Eastcastle is a masterpiece of design and efficiency. It also has some lovely lighting, including a neon sign on the back wall. Kaffeine Eastcastle is also on the shortlist for the Coffee Spot Special Award. 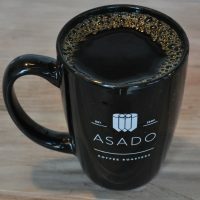 I was given a behind-the-scenes tour of the then-unopened Asado Coffee in River North in Chicago. Occupying a lovely spot in what was the loading dock of an old industrial building (which is now used for offices), Asado Coffee has some fantastic light fittings which include some reclaimed lanterns. 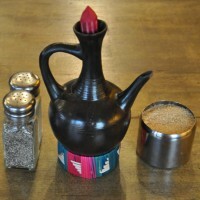 Asado has also been shortlisted for the Best Overseas Coffee Spot Award. 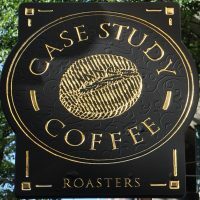 Case Study Coffee Roasters in downtown Portland is the first of two shortlisted entries from Portland (Oregon). Coffee shop and roaster, Case Study’s downtown branch is a gorgeous place, with glass down two side. That doesn’t stop it from have some awesome light-fittings though. Case Study is also shortlisted for the Coffee Spot Award for Best Espresso. The second entry from Portland (Oregon) is the Portland Roasting’s Cupping Room Cafe, which is attached to the roastery. It has some amazing light-fittings, including using old portfilters to hold naked light bulbs. Liverpool’s Filter + Fox, on Duke Street, is an elegant spot with excellent service which could have been shortlisted for any number of awards. Instead, it will have to make do with this and spots on the shortlists for the Best Cake and Best Physical Space Awards. London’s Modern Society is on Redchurch Street, in the heart of Shoreditch. It’s both a life-style store and a cutting edge coffee bar, which, like Filter + Fox, could have featured in any number of shortlists. Its amazing chandeliers won it a place on this shortlist, while the all-round beauty of the store got it onto the shortlist for the Best Physical Space Award. The branch of Artigiano Espresso on Reading’s Broad Street continues the trend of physically amazing spaces. This one has two floors, kitted out with numerous exceptional light-fittings which is why it has gained a place on this shortlist. 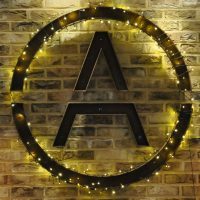 There’s a strong correlation between excellent light fittings and physical beauty, so it’s no surprise that Artigiano Espresso is also shortlisted for the Best Physical Space Award. Like Artigiano Espresso, 200 Degrees has a reputation for physically sumptuous fit outs. This, it’s second branch in Nottingham, continues that trend and could easily have won it a place on the Best Physical Space Award shortlist as well. 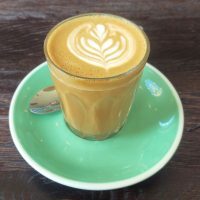 Instead, as well as its excellent lighting, which includes two stained-glass windows at the back, 200 Degrees is shortlisted for the Best Coffee Spot Near a Railway Station Award. 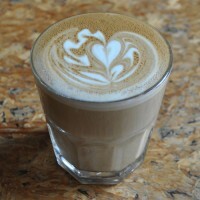 Our final entry is Bristol’s Wainwright’s Speciality Coffee. which does what it says on the tin (name). Indeed, the coffee was good enough to gain it a spot on the shortlist for the Best Espresso Award, while the amazing lights are what’s got it here.